Sick of sore muscles? Get temporary relief with these extra-large pads that help you target your back, hips, legs and other large body areas in conjunction with your Pain Therapy System Pro. Easily activated with water, these no-mess replacement pads can be stored and reused over and over again for a soothing solution that doesn't quit. If gel pads feel a little dry and are not sticking well, simply use fingers to rub water over the gel pads. Wait 30 seconds and gel pads will be sticky. 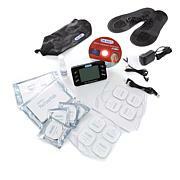 Dr. Ho's Pain Therapy System Pro is not designed to diagnose, treat or cure any disease. If you suffer with any painful or health conditions, you should consult with your doctor for proper diagnosis and treatment. Do not use Dr. Ho's Pain Therapy System Pro or any other electronic stimulators if you wear a heart pace maker or if you are pregnant due to safety issues. Please ask your doctor before use if you have any questions or concerns before using. Do not use this device if you have a cardiac pacemaker, implanted defibrillator, or other implanted metallic or electronic device. Such use could cause electrical shock, burns, electrical interference or death. 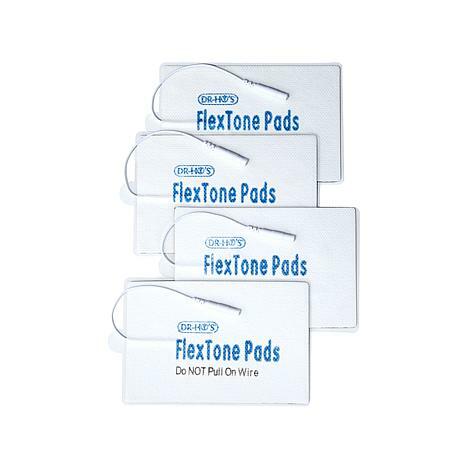 Great product, I have been using this item long before making this order. 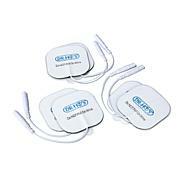 Own the Dr. Ho TENS unit, purchasing replacement pads. Will never want to be without these pads. My husband and I use them when we have a long day at work and need some muscle relaxation. Great for muscle pain relief and relaxation.